2019 Beef Spotter is available now! 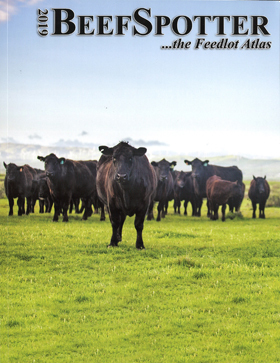 For over 20 years BeefSpotter has been the standard for up-to-date information about the cattle feeding industry. This comprehensive and valuable data is used by feedyards, cattle haulers, livestock feed companies, animal health companies, and cattle industry trade associations. We are Reserving Ad Space for the 2020 BeefSpotter.